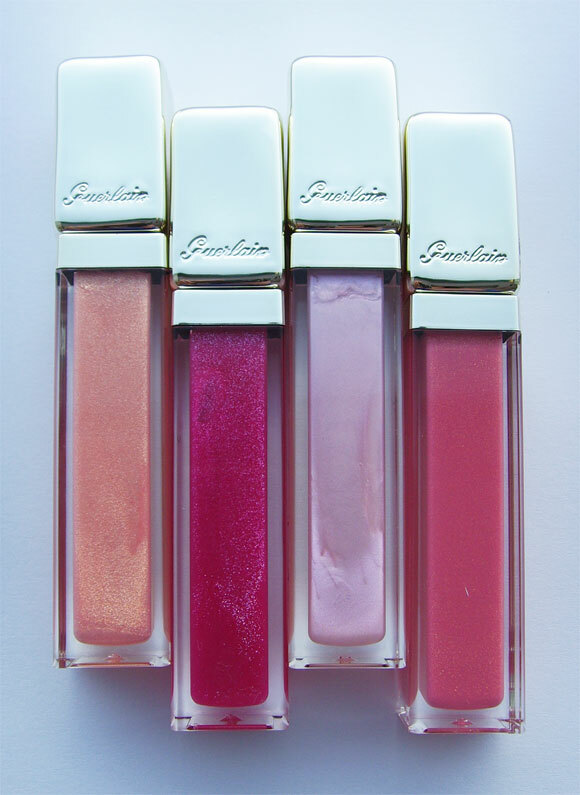 To supplement the glamorous black lashes of the Noir G Mascara, Guerlain have introduced four gorgeous new KissKiss Lipgloss colours for the spring. 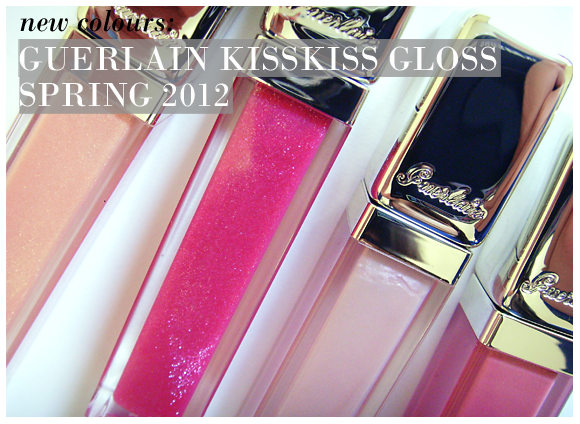 From the palest rose to vivid fuschia, each glossy hue dresses lips with outrageous shine, comfort and colour. This peachy shade is semi-transparent and is packed full of pink and gold shimmer for a 3D rose gold effect. Juicy, highly pigmented and ultra glossy, this vibrant fuschia pink with iridescent shimmer is a more subtle way to wear brights. This frosty off-white shade is so iridescent that it appears lilac in some lights. A great shade for layering over lipstick, or wear alone for a sixties inspired look. One of the most pigmented glosses of the group, and a great everyday shade. The pink and gold shimmer infuse radiance, while the sweet warm pink hue gives lips a flushed look. After reading reviews on lip glosses I decided to buy this one and was not dissapointed. Goes on effortlessly and stays put. I've had numerous comments since wearing this and shall be purchasing another when it runs out. This entry was posted on Friday, February 3rd, 2012 at 2:00 pm and is filed under Make-up, New products, Swatches, Tried & Tested. You can follow any responses to this entry through the RSS 2.0 feed. You can skip to the end and leave a response. Pinging is currently not allowed.